Back on March 18, San Luis Obispo County Sheriff’s Deputies responded to a report of a burglary at a home in the area of Bonita Place and Verde Place in San Miguel. A suspect was identified at that time. During the course of the investigation, deputies discovered the suspect had gained access to three homes in that area and installed a camera in the ventilation system. 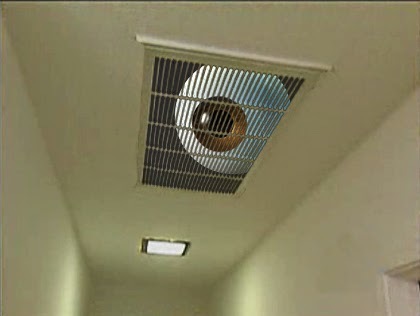 In each case, a camera was positioned behind a vent in the master bedroom of the house. The suspect was able to record images by use of a wireless camera and receiver. The suspect has been identified as Eutimio Contreras Anguiano, 34 of San Miguel. Anguiano was arrested on April 13 and faces charges of burglary, eavesdropping, and making criminal threats. The Sheriff’s Office is continuing the investigation and is asking residents in Northern San Luis Obispo County to check their ventilation system for any signs of tampering that may be consistent with this crime.